ProSource AV & Integration specializes in designing, installing and integrating various systems in residential and commercial applications such as home theaters, distributed audio and video, video conferencing, lighting/shades/HVAC control, universal remote control, automation and security surveillance systems. ProSource AV & Integration is a veteran owned, family business built on professionalism, technical expertise and strong customer service, believing every project is the beginning of a long-term relationship. The high level of customer satisfaction we enjoy is a testament to the caliber of our highly-trained and certified personnel, and the best-in-class products and home control systems available to our customers. Whether you are looking for a complete home theatre system, a universal remote solution, or a full house security system, it all comes down to the quality of the system. Here are a few of the product lines that we love to use. A home theater provides a theater-like experience in your home. But what exactly does that entail? The quick answer is, there's no quick answer. A home theater can be as simple as a few A/V devices in your living room or as complex as a completely renovated basement designed to look like your favorite movie scene. At its core, a home theater system should provide a high-quality video experience and an immersive audio experience that breathe life into your favorite movies, but a number of roads can lead to that destination. A general understanding of the basic home theater ingredients--from the A/V equipment to the seating to the other room elements can help shape your perfect home theater. YOUR MUSIC, YOUR VIDEO, EVERYWHERE. Imagine high fidelity music in every room of your home or business with nothing more than an elegant wall mounted keypad or handheld remote, and virtually invisible in-wall or in-ceiling speakers showing. This also includes landscape systems so you can listen to rich full sound outside while you entertain guests or a have a private dinner. Don't be fooled by their small stature. These systems are meant for any size backyard patio or outdoor area and offer amazing sound quality you didn't think was possible. There are also many different ways to bring an almost infinite amount of music into your system. Music streaming devices such as Savant Streaming Network Player, or SONOS make it simple to enjoy your favorite tunes in any room you wish. Even if you have an existing distributed audio system, SONOS offers up high quality streaming music services which is perfect for those who like their music in the cloud. There are many ways of configuring a distributed A/V system. We can show you how this can be done in your home or business, even with your existing equipment, at a reasonable cost. There are many reasons to have a Video Security System. According to FBIs crime report in 2015 Over 1.5 million burglaries occur just in the United States each year. Installing even a doorbell cam or just a basic camera system can give you peace of mind knowing that you have visibility on your property. We have the knowledge, training, and skill to ensure your system performs as specified. First, it helps keep all employees and customers honest. When people know they're being watched with security cameras thefts are far less likely. Criminals want to pick the easiest target possible. A video security system lets you view the shopping patterns of your customers. This can help you understand where to place merchandise for best results. Having security cameras at your registers can help solve any disputes. No more fights about the bill denomination used to pay or the change returned. If you have ever worked in retail before, you know how much of a headache these customers can be. See if any employee is entering incorrect amounts into the register which helps prevent employee thefts. This video was created by the FBI to help educate business owners in how to properly implement security camera systems at your business. It describes the most common shortcomings of inexpensive camera systems and gives advice on what to ask when considering installing a system. Wherever you need protection, we will give you options and help you decide what is best for you. This installation incorporated wireless connectivity technology which helped reduce the cost of the system by eliminating the need to trench and run new wire to three new locations. This installation gave our homeowner peace of mind with a high mount camera to keep an eye on the rear fenceline. System integration is the ability to consolidate the systems and electronics in your home or business into one easy-to-navigate menu — that sits on your handheld remote, smartphone, tablet, touch panel other device, and provides you the ability to control them in one central location. Think of it as a universal remote for the house or boardroom. Picture all the remotes on your coffee table you use to turn on or off your home theater or video conferencing system for example. First use the TV remote, then use the AV receiver remote to switch the receiver to the correct input, then turn off the lights for your night time viewing. Oh but wait, lets turn the thermostat down because it's a little too chilly now. This is all accomplished with a control system and a universal remote, programmed to give you one button access and control of all your AV and lifestyle systems. We specialize in providing solutions to make your quality of life as simple and reliable as possible. When a system is implemented, having the knowledge and skills to ensure your investment will withstand the test of time is not a common tool in every integrator's tool box. A system is only as good as the foundation it is built on and sometimes even the best intentions need a redo. We believe every installation is a signature, and we take pride in knowing we ensure every system is built on a solid foundation of clean wiring, and quality components. 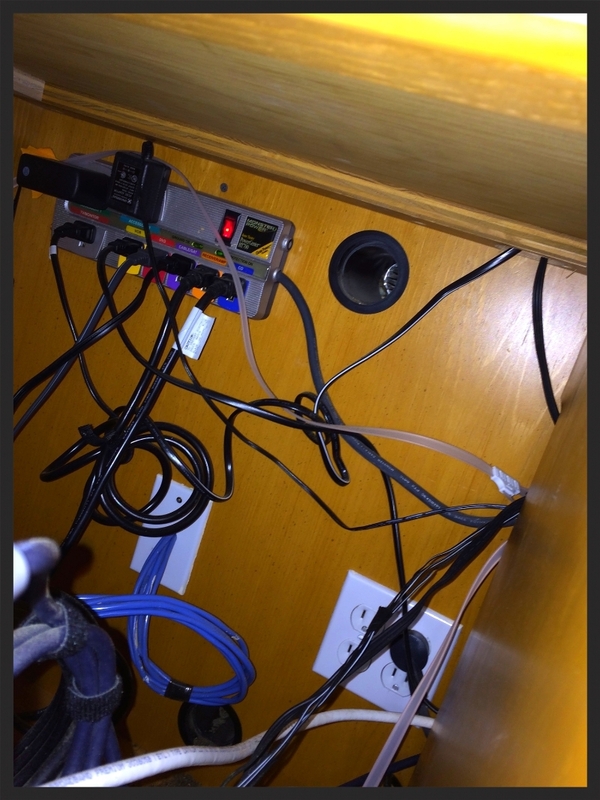 Below are examples of reworked and repaired installations, our own installations, and the satisfaction ProSource AV & Integration takes when we know an install is left working, and looking, better than we found it. ProSource AV & Integration excels in bringing technology into your business. Everything from video conferencing, digital signage, high definition video distribution, commercial audio and more. Even if it's time to upgrade legacy equipment to today's high tech standards we can provide solutions to fit any need that will take you well into the future. BELOW ARE JUST A FEW OF OUR PREFERRED PRODUCT LINES WE OFFER, SUPPORT, AND INCORPORATE INTO EVERY SYSTEM. EVERY COMPONENT IS VETTED BEFORE IT EVEN MAKES IT ON THE LIST.